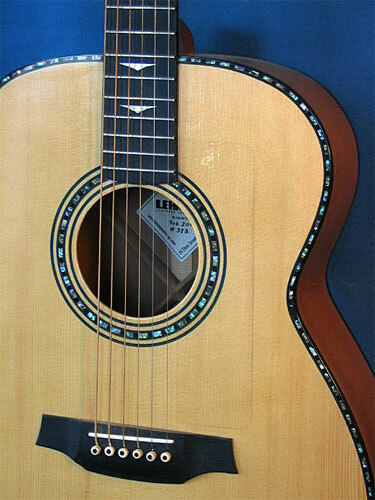 The way your guitar looks is an important reflection of you and your style. 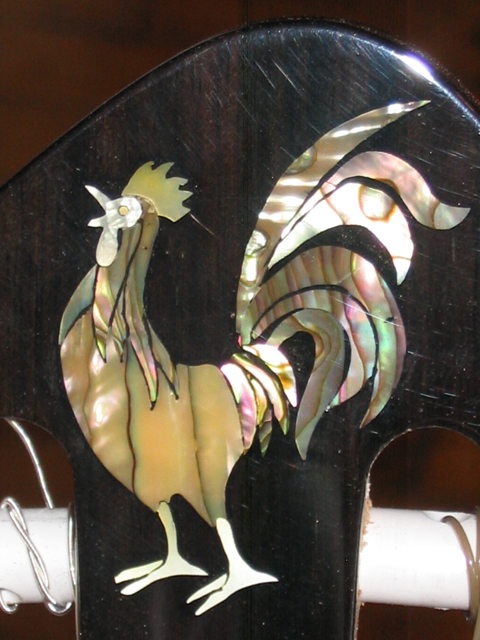 The designs you choose should all work together towards expressing a unified statement. 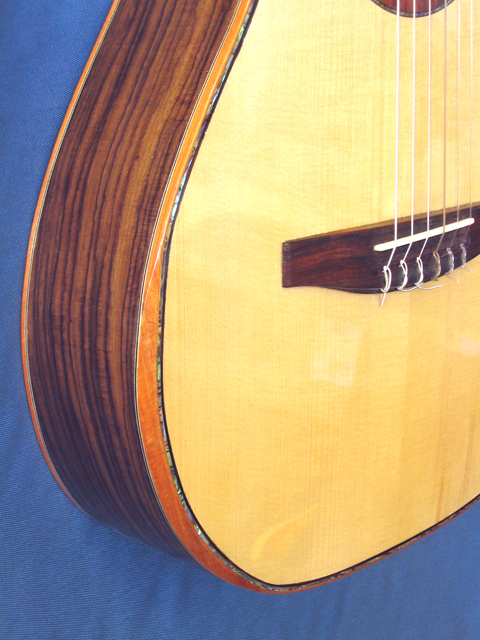 Combinations of woods should be repeated throughout the instrument. 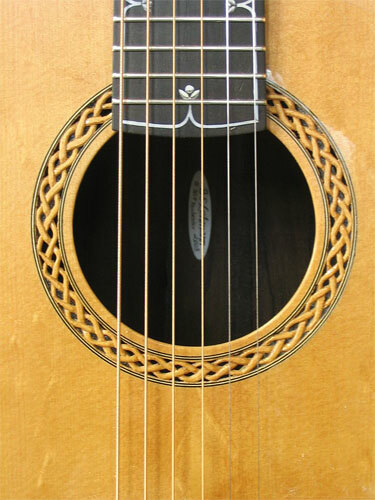 Geometric or organic shapes should be reflected on the fingerboard, headstock, and sound hole. 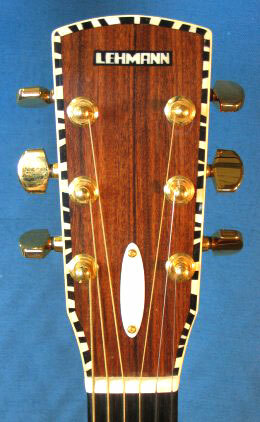 Let's work together to build a guitar that looks, sounds and feels like a fine handmade instrument! 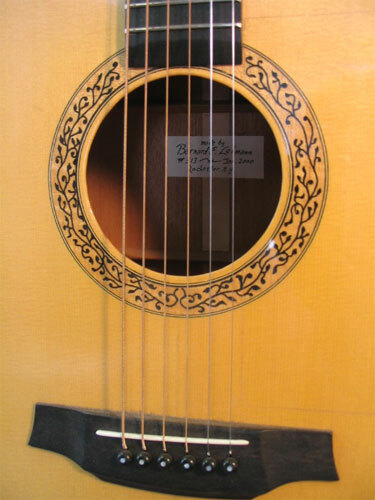 Below are just a few examples of designs for the soundhole, fingerboard, and headstock. 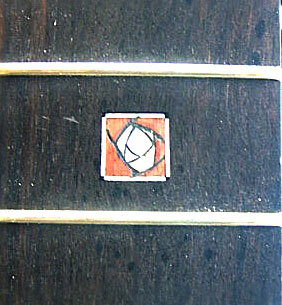 Let them be a springboard for you imagination! 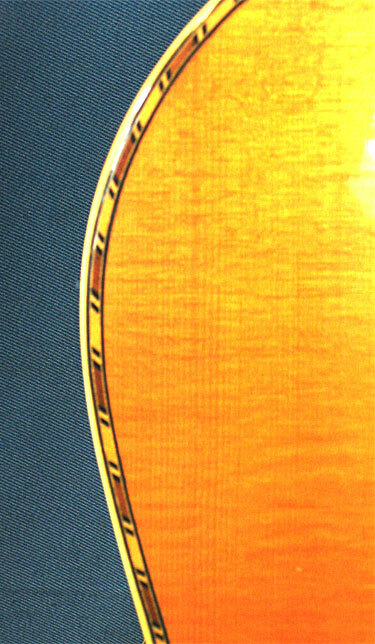 Inlaid rings around the sound hole are necessary to strengthen the spruce in a vulnerable area and to help prevent cracks. 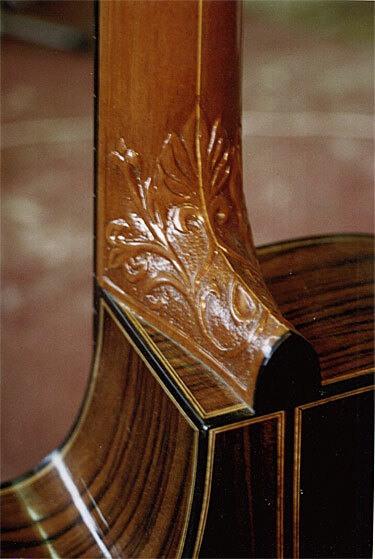 Beyond that, it is an ideal area for making a design statement. 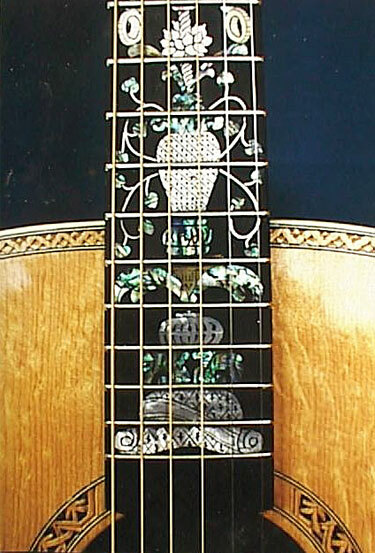 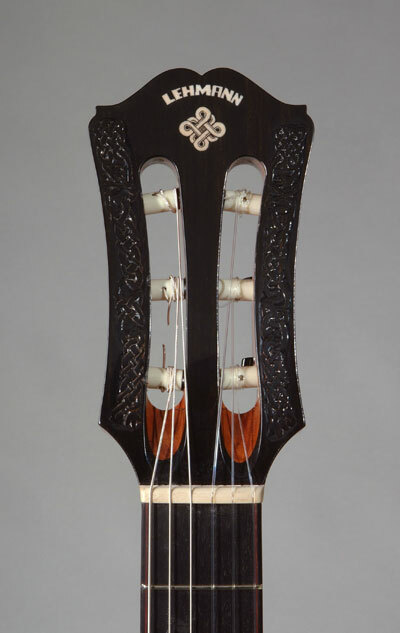 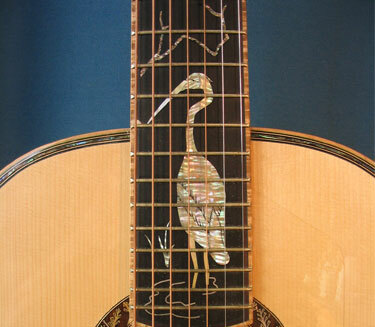 Markers on the fingerboard can range from simple dots to a full vine inlay, and use many exotic materials like pearl, abalone, ivory, silver wire, and more. 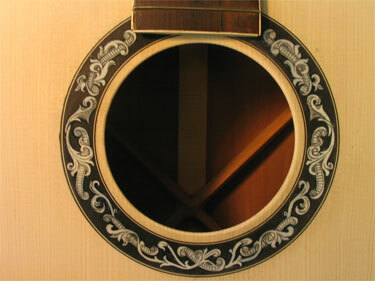 Engraving is one of my specialties and can highlight and enhance even simple shapes. 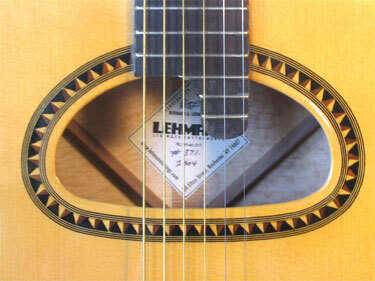 The Lehmann logo is always placed in the headstock, but additional decorative possibilities are endless. 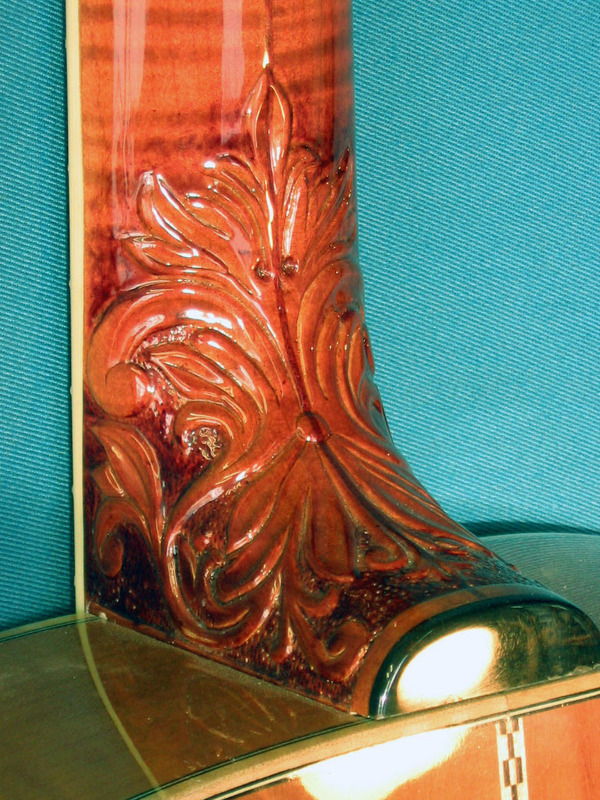 Heel carving decorative options are also available. 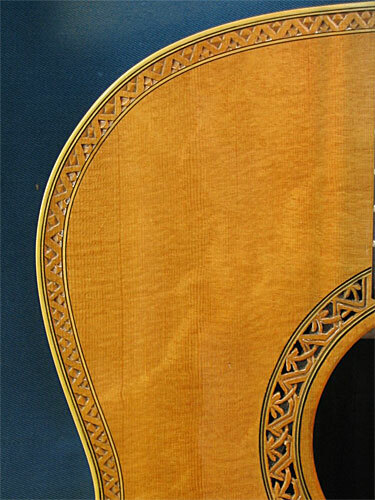 Various wood bindings can be used to protect the edge of the guitar and highlight the edge. 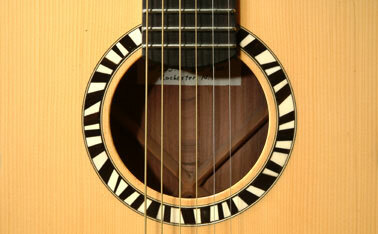 Plastics come in white, black, ivory grained, and tortoise shell. 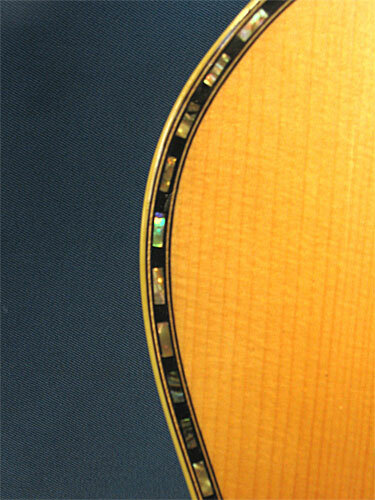 Abalone boarders can be a thin solid line, or a checkerboard with ebony and make the edge light up. 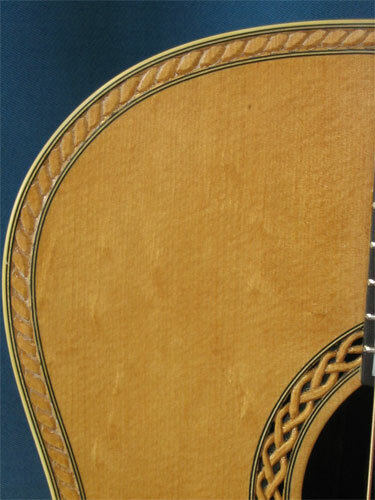 Herringbone and other marquetry strips add a more subtle interest to the edge. 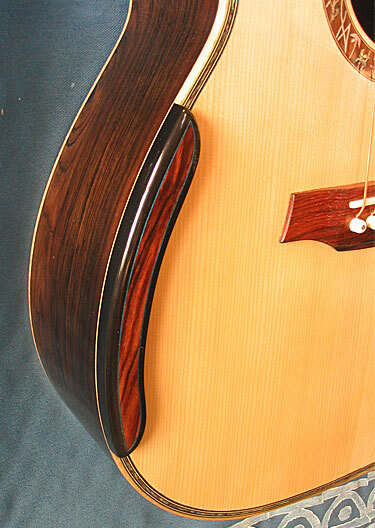 Many colors of veneer stripes can be used as compliments to the body woods. 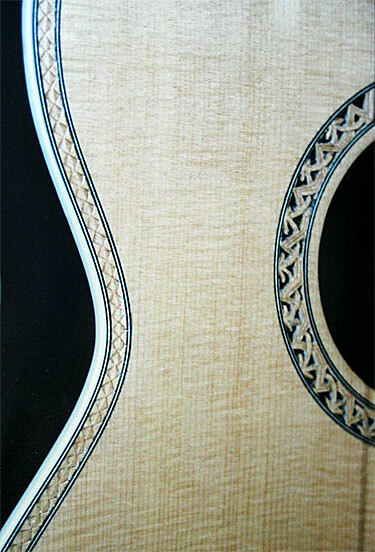 The chip-carved edge on the Model 2000 is available in four patterns and is both unique and subtle. 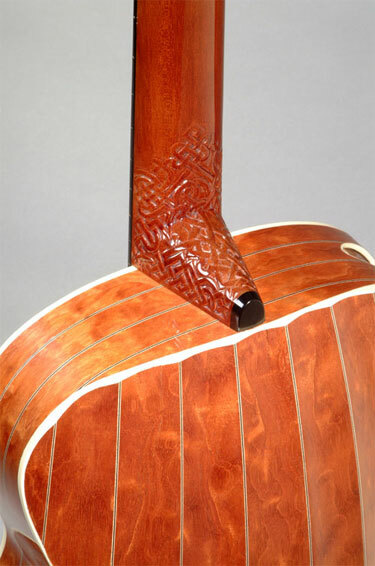 There are two armrest designs offered on Lehmann guitars. 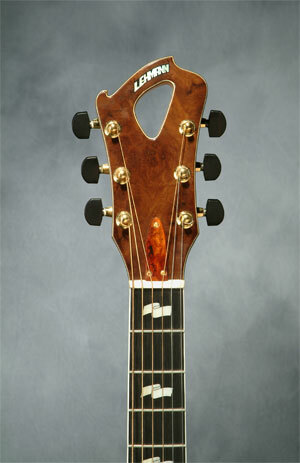 They provide surprising comfort and help prevent fatigue of the picking arm. 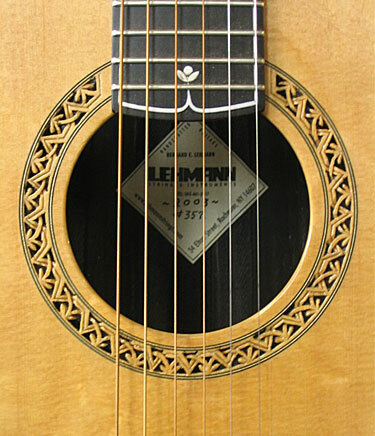 Want a custom Lehmann guitar? 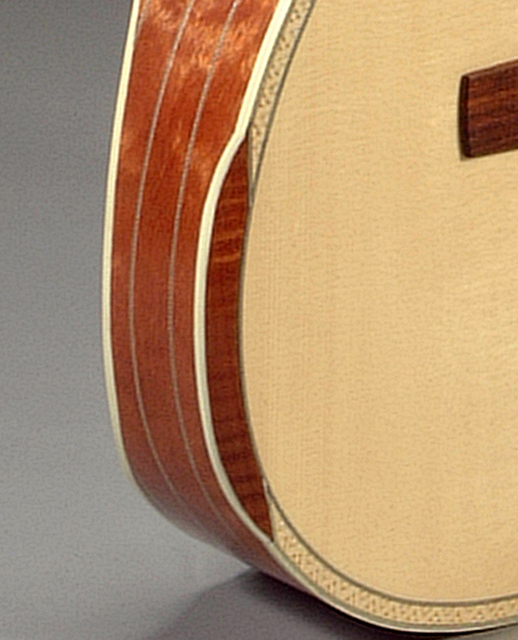 Drop us an e-mail to start designing your custom guitar.